SMC offers an amazing summer camp experience for children and youth ages 8-20. Great people, exciting activities, and an environment where the love of Christ is demonstrated through words and actions are just a few reasons that make SMC such a special place! Our heart here at Scott Mission Camp is to share the love of Jesus in all that we do. Thanks to the Lord and our awesome donors, one of the most tangible way we do that is by offering subsidy up to 95% of the cost to qualifying families. What about the rest of the year? 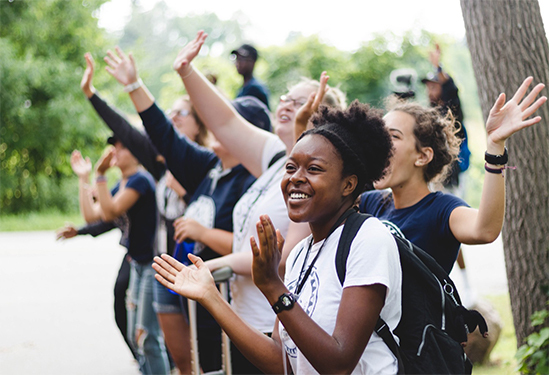 We love connecting with campers throughout the year which is why we offer a number of different year round programs. From camper reunions, to after school programs and youth groups, connecting with campers throughout the year and not just at camp is important to us at The Scott Mission! Spots at camp are in high demand and we usually have a wait list each year. Don't delay and fill out an application to register your child for camp today!